Today I want to talk about something a little different than usual -- aromatherapy. 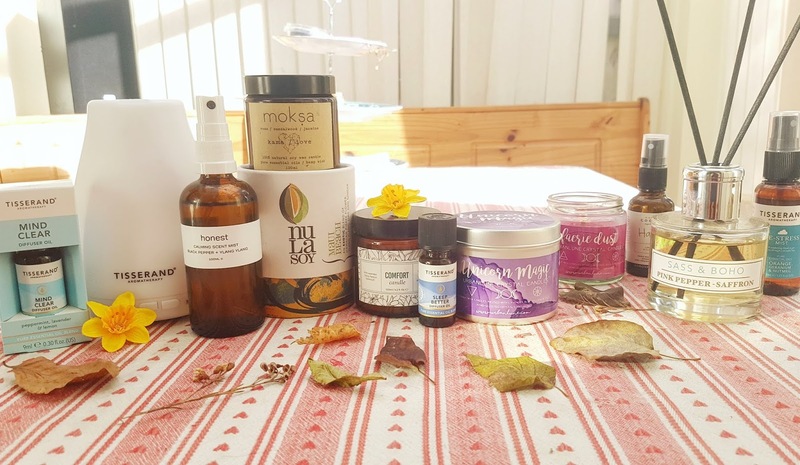 I have been thinking a lot about why I love natural beauty products so much in the last few months, and I have come to realize something -- while I do sincerely adore discovering new formulas, admire the varying gorgeous textures and colours and feel of each product I try, and experiencing the effects of a new cream or mist or soak, that was not the single major force that was at the heart of my fascination and feelings for all natural beauty. In fact, besides my overarching passion about ethical practices and a push for sustainability by natural beauty brands, the feature that inspired the most gratitude from me was one that wasn't ever usually even on the label itself... The therapeutic benefits of the included botanicals, extracts, and oils. 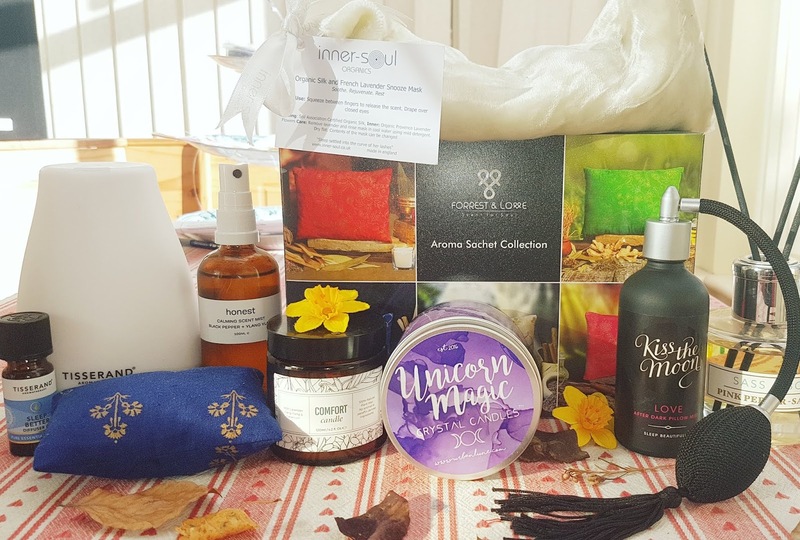 Yes, you read that right -- one of the things I love the most about natural beauty products is their innate ability to act as an aromatherapy treatment. The very first thing I do when I open a new item is give it a good sniff. I breathe in the formula, letting it wash over me and hit my senses. And guess what -- that is what I do at the end of applying anything in my routine! I breathe in the excess product, long and deep, and just let the aroma of frankincense, or neroli, or chamomile, or geranium, or whatever it may be, do its work. I love how effective plant-based ingredients can be, and at some point I will definitely be writing up a post about the link between skincare and aromatherapy, but today I wanted to take some time to chat about this bonus element that comes along with all natural beauty, and spend some time talking about the more traditional ways of utilizing pure oils and dried herbs, spices, and flowers! As winter approaches, many people begin to turn to home fragrances to help lighten up the dark days, bring a feeling of warmth into their hearts, or ease the effects of SAD, but many high street options may actually end up doing more harm than good. Did you know that "over 95% of the worldwide consumer market is flooded with synthetic air fresheners, paraffin candles, room perfumes with synthetic aromas and artificial car fragrances. Most of the chemicals used in synthetic fragrances are derived from petroleum and include benzene derivatives, aldehydes and many other known toxins and synthesizers capable of causing cancer, birth defects, central nervous system disorders and allergic reactions." Crazy to think about!! When I read that information from Forrest + Love, an aromatherapy brand that uses only pure plant-based ingredients, I was actually pretty stunned. 95%?? That's absurd and hard to comprehend, especially once you realize how harmful some of these synthetic fragrances are, and just how effective and helpful proper aromatherapy treatments can be for your mental health and general wellbeing! I want to start this post off by saying I am not a mental health professional, and if you are struggling with or experiencing long-term mental health issues, please seek an appointment with a specialist. Aromatherapy can definitely help with some of the effects and feelings, but it isn't a permanent solution or instant fix -- therapy, or in some cases, medication, may be necessary for chronic disorders. Asking for help is okay! 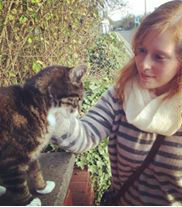 But with that being said, I personally have found asking for help after my ADHD diagnosis led to more stress and upset than just muddling on -- uni services had me jumping through hoops and running in circles, and the NHS failed me as well (with a referral to a specialist service having a minimum two year waiting list!). So rather than fighting a never-ending battle, I chose to observe my attitudes and behaviours -- what helped, what hurt, and what made me feel my "best" self. Clean living really helped clear my mind, and while I still struggle on a daily basis, the 8 simple lifestyle changes I made have taken the edge off my "bad" days. Plus, through research and a lot of trial and error, my turn to aromatherapy has taught me various coping mechanisms for most of what life throws at me in terms of my mood and mindset -- stress, anxiety, motivation, depression, fatigue, restlessness, and irritability. There's a plant based remedy for them all! Candles: I love a good candle -- plant based wax, nontoxic wicks, and pure natural essential oils are what I look out for, as these make for a clean burn and no headaches (which can be induced by synthetic parfum). These are just so homey, as the warm glow from the flame creates a cozy sense of comfort, and the scent can slowly dissipate throughout the room and work its magic without you even having a second thought. I have a LOT of favourite candles that I have tried over the years, but some brands that have stuck out to me are Bloomtown, Nula Soy, Organdle, Celtic Herbal, Ermana, PHB, Neom, and Wax + Wick. I have been well impressed by each of them in terms of quality, burn time, overall aroma, and presentation. While some of these do incorporate fragrance oils alongside essential oils, they all are stunning in their own right, and have all found a special place in our home. I will definitely need to do a full post just about my candle collection at some point in the future, but for now I thought it would be great to at least highlight some of my current candles that I have on the go. I tend to have three at a time -- one for brightening up the day and my mood, one for focusing my mind or easing stress, and one that helps aid swift sleep and a restful night for the evenings. 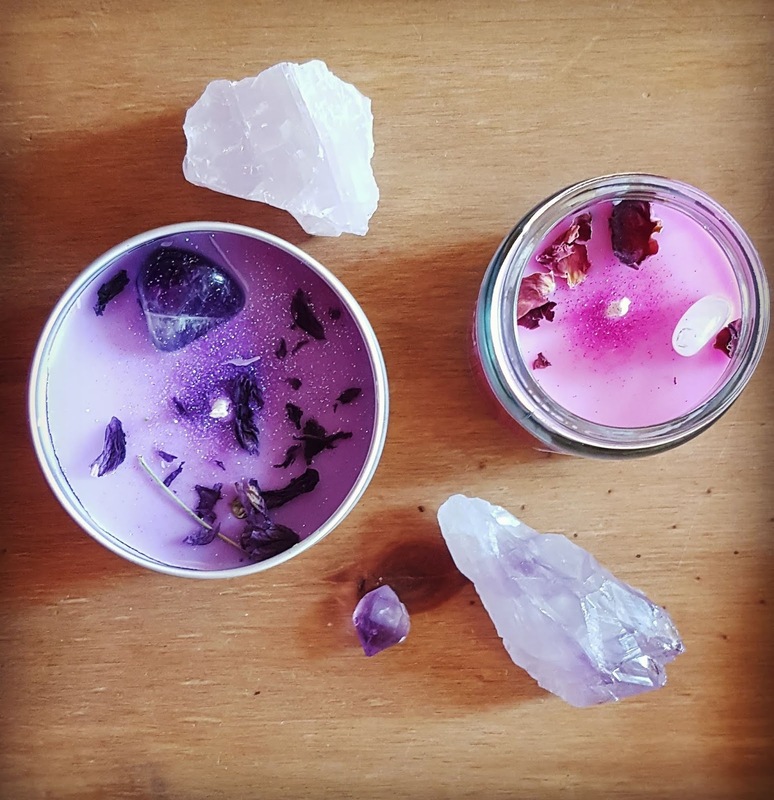 Recharge: One brand I have followed for a while is Urban Lune, who create eco friendly candles with a twist -- not only do all the products use cotton wicks and hand-poured coconut/soya wax, but they are infused with local organic flowers, and contain charged crystals! Plus, UL sage and bless each creation before sending off to the new owners. I have been mesmerized by the Unicorn Magic blend, which has a spicy and earthy fragrance with just a hint of citrus. This candle helps me stay grounded, elevates my mind, and works to strengthen my spirit. You will most definitely be hearing more about Urban Lune from me in the (nearish) future! Anxiety: My go to candle whenever I am feeling anxious or overwhelmed has to be Maui Beach from Nula Soy. For a de-stress or even for just a bit of a mood boost, this is the perfect pick, as the remarkable smell of jasmine fights off any feelings of negativity. This candle from Nula Soy was created to elicit a soft euphoria, and it brings joy and a sense of easiness which is exactly what I need when I start to panic. Balancing: I have been really enjoying my Ermana Comfort Aromatherapy Soy Wax Candle, and find it the perfect mix of homely, uplifting, and calming. This is a great option for those who want a well-rounded product, as the versatile oils can address a wide range of needs. The scent is like a warm embrace or a fond memory, and the blend fills the room slowly and lingers for several hours. Containing lavender, ylang ylang, and geranium, this candle has a headiness to it that is, well, comforting! Peace: I have two favourites at the moment -- Moksa's Kama / Love Candle with rose, sandalwood, and jasmine, and Neom Organics' Tranquility Candle that contains nineteen essential oils, including lavender, jasmine, and sweet basil. Each work to achieve their own sense of peacefulness, and I find both absolutely brilliant. 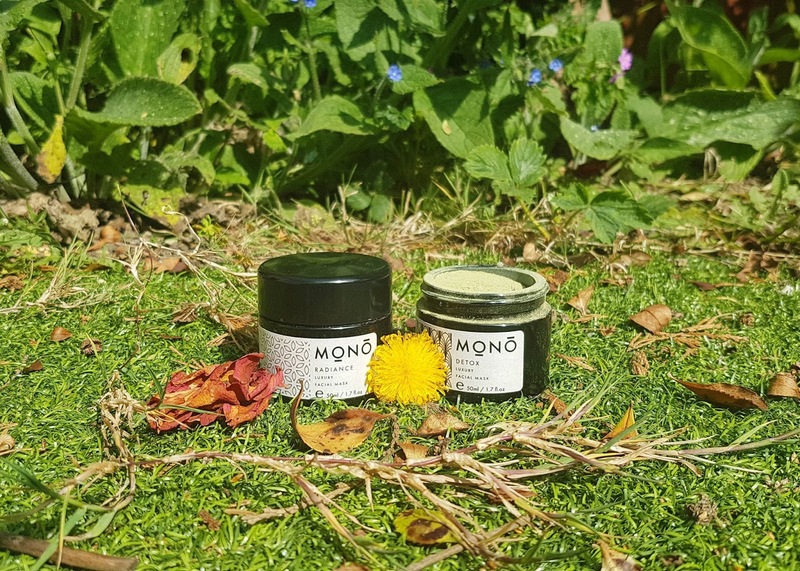 The Moksa blend bringing a sensual, grounding softness, and the lovely flower petals that top the candle make this such a romantic piece on the shelf. Plus, the candle is infused with quartz crystal, bringing even further benefits for the mind, body, and spirit! Neom's candle targets sleep specifically (their claim is that 88% of users had a better night's sleep using the Scent to Sleep range!) and generates a deep sense of relaxation. I love how potent the aroma is, as you only need to have it burning for a short time to have the whole room filled with the gorgeous scent. This also means the candle ends up lasting longer, as you don't have to have it going for absolute ages if you don't want to! Lately I have also been testing The Rose Tree and Bee, and I have Zing Organics' range of candles on my wishlist as well -- I'm very much looking forward to updating when I can! Burners/Warmers: If you want something a little less obtrusive, a candle melt warmer or oil burner could be the best bet, as they can be tucked neatly into a corner and generally give off little to no light. I love having my warmer going in the kitchen during the morning or right before company arrives, as it helps give a delicate but noticeable scent that is just so light and welcoming. To be totally honest, I only ever use chocolate, coffee, fruity, or "baking" smells rather than herbal or floral when it comes to melts, as I find these perfect for creating that feeling of homeliness -- seriously, is it possible to feel totally unhappy if you are surrounded by such familiar fragrances?? I have actually had a more difficult time finding 100% natural wax melts, especially in the aromas that I like to use, so I have not been using my melt warmer as often as I used to. However, Organdle make lovely blends, and I have been gifted a few that were bought form Etsy sellers. I would love to hear what brands you love for all natural wax melts -- definitely need some guidance on this! Mists: Mists are the perfect way to quickly spread some cheer to a room, focus in an office, or dreaminess to a pillow -- with just a quick spritz, the air is filled with whatever oils have been mixed! These are super simple to use, can be stowed in a cupboard or drawer until they are needed, and are a temporary measure that delivers immediately upon use. While I do have a few "daytime" mists that I turn to occasionally, I actually prefer mists for the evenings. These are super effective for winding down, decompressing, and just getting in the right mindset for a peaceful night's sleep. I'll apply a bit of a de-stress spray to my throw blanket downstairs, give a light misting to my pajamas, or spritz our pillows before bedtime. Since starting this, I have had far fewer nights where I struggle to get to bed, and I wake up feeling completely restored and rested! Calm: I adore Honest Skincare + Apothecary's Calming Scent Mist. 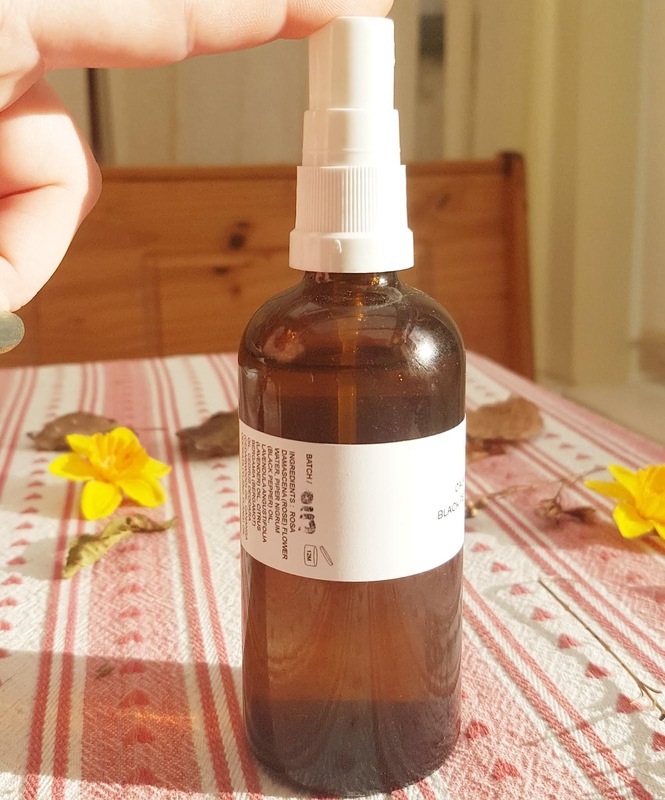 This spray is really unique in smell, with notes of black pepper, ylang ylang, lavender, cedarwood, and bergamot, and everything about it helps settle your nerves and create a mindful atmosphere. The 100ml bottle lasts for ages, as you only need a few pumps to experience the calming effect. Sleep Well: Kiss the Moon's LOVE After Dark Pillow Mist has everything going for it -- the packaging is gorgeous (reminiscent of Parisian boudoirs or 40's era glamour) and the formula is absolutely dreamy with heady floral notes and a gentle hit of spice. Rose, ylang ylang, and frankincense combine to bring the perfect pre-bed treatment, and I love drifting off to this beautiful blend. Diffusing Oils: Like mists, a diffuser can help disperse an oil or oil blend throughout a room quickly and efficiently, but with the added bonus of being able to continue this method for as long as you wish. The oils are dispensed through a mist or by evaporating into the air, and they linger for quite awhile even after the machine is switched off. This is the method I choose if I need a more powerful aromatherapy treatment (or if I have a cold! ), as I find diffusing oils are a bit more potent than a slow burning candle or a short-term mist. I also find diffusers allow for much more choice and variety, as you can easily add different oils or change the solution whenever you need. Feel tired at the start of the day? Use an uplifting formula in the diffuser to help wake you up or energise your mind! Need help settling down later that night? Empty the chamber and start fresh with a blend of calming oils. No difficult cleanup process required! 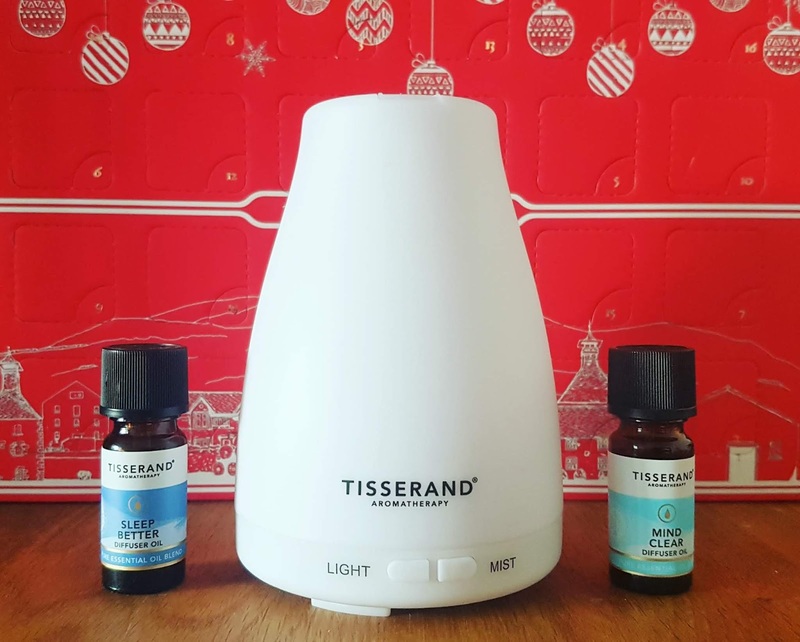 Clarity: Mind-Clear from Tisserand is a fantastic blend of peppermint, lavender, and lemon, and it works to remove pressures and center your thinking. I find this best after stressful meetings or before brainstorming, and a few drops is all it takes to work its magic. Focus: I have a few different DIY blends I use depending on the type of "focus" I need, but my go to at the moment is 2 drops of white fir, 2 drops lemon, 1 drop sweet orange, 1 drop basil. This helps hone my mind and keep me concentrating while also reducing any anxiety that may come from work. Rest: Another blend from Tisserand, Sleep Better is brilliant to use if you need to switch off or need a bit of help to drift off into a restful night's sleep. With six drops to the diffuser, you will be on your way to dreamland thanks to the lavender, jasmine, sandalwood, cedarwood, bergamot, and ylang ylang essential oils contained in this formula. I tend to turn my diffuser on about 20-30 minutes before heading to bed, as this gives time to fill the room with the scent and then I don't have to worry about leaving the machine running while I sleep. 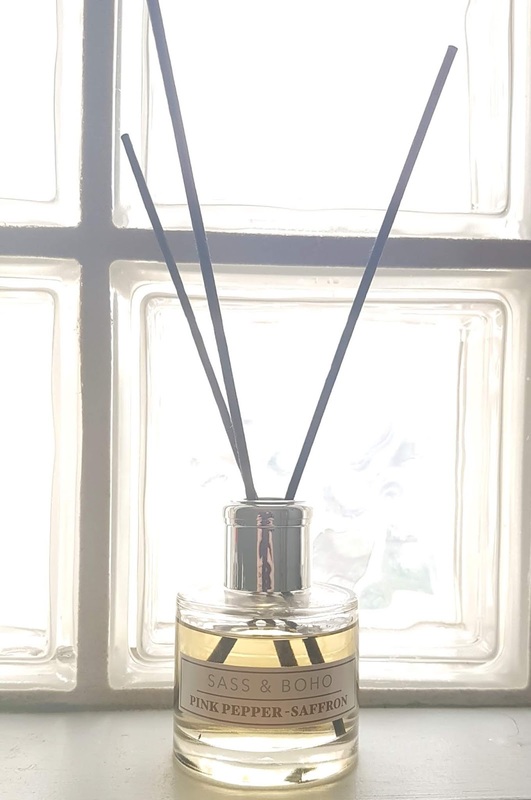 Reed Diffuser: To be totally honest, I'm not so keen on this method, as I find it takes time to start working and needs to be regularly maintained to remain effective. Reed diffusers are pretty simple to use though, as you just place the "sticks" into the pot of oil and let physics do the rest -- the oils absorb into the material, and disperse the scent into the air as it slowly evaporates. You flip the sticks every so often (about once a week) to have the scent stay prominent, and replace them once you no longer can notice an aroma. I don't find reed diffusers as useful for me personally, as you cannot switch out the oil blend to suit your needs -- it just kind of keeps going until the oil has all evaporated or the reeds are gone. However, these are great for guest bedrooms, bathrooms, or areas of the house you don't often spend much time in. They keep the air fresh and smelling nice (as long as you remember to refresh the reeds! ), plus they make a really nice feature that looks classy and stylish. "Pillows": This one is probably the least utilized for the majority of people, and actually one of the modes of aromatherapy that I have found most effective. There are two types of pillows I have come across -- eye "masks" and aroma pouches. The latter is exactly what it sounds like -- a little cushion that is filled with herbs, spices, and/or essential oils. You can set it on your desk, pop it in your car, add one to your drawer, or keep one in your handbag -- whatever suits you and your needs! They are both incredibly potent and fairly subtle all in one (if you have one, you know exactly what I mean! ), and really help balance your mood and settle your spirits. Since most of these pouches are made from a fabric, they are also usually able to be reused -- some have zips so you can easily refill the inside contents, while others you can just snip open, refill, and sew up. I have been using Forrest + Love Aroma Cushions for a few months now, and I have been so impressed, especially by their FOME variety, an expertly blended mixture of frankincense, rosemary, ginseng, cardamom, vetivert, and more, all of which work to improve memory, focus, and motivation. I keep this beside me as I work on my PhD, and it really helps keep my mind clear and on task! This may be one of my best finds of the year in terms of aromatherapy products. Eye masks are more geared towards remedying migraines, headaches, and tired eyes, along with promoting healthy skin, but the ingredients contained within the pillow also work to soothe, calm, and bring about a sense of peacefulness, making these a brilliant multi-tasker. 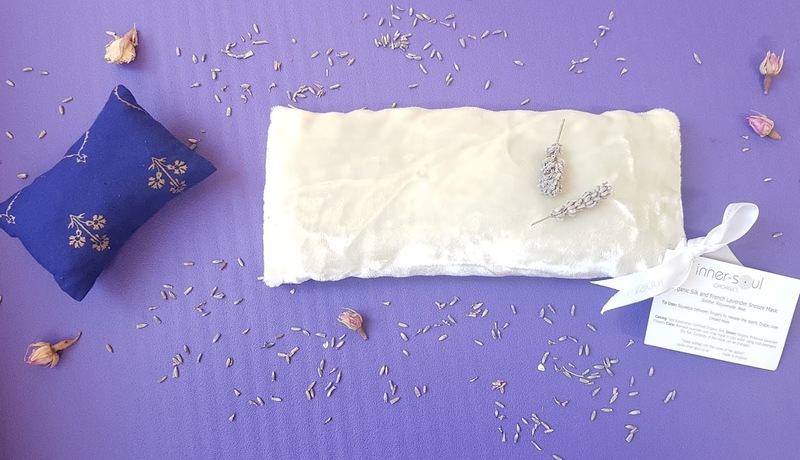 I picked up Inner-Soul Organics' Silk and French Lavender Snooze Mask from Love Lula ages ago, as I tend to get mini-migraines pretty regularly thanks to all the small print I read when researching and all the screen-time I have for blogging, keeping in touch with far away friends, and writing my PhD. When I feel one coming on, I can lie down, pop the mask over my eyes for some much needed darkness, and just let the cooling pillow and gentle floral notes help ease the pain in my head. I have also used this before bed on nights where I was feeling particularly stressed or restless, and it genuinely helped ease my worries and settle my thoughts. Inner-Soul Organics' eye mask works wonders, and I am so thankful for finding this product. If none of these quite suit your needs, or you need a quick fix, simply taking a pure essential oil and dripping a few drops into the hot spray on the shower floor is a brilliant way to experience the therapeutic effects. If I am feeling overwhelmed I use lavender to soothe my anxieties, if I am needing a bit of a revive or a speedy wake up solution I grab my bottle of peppermint, and if I am feeling low I turn to orange or grapefruit to help uplift my spirits. Essential oils are so versatile, and with a little *careful* experimentation you can help ease just about any struggle or ailment. With over ninety essential oils to choose from, along with a host of carrier oils, butters, and aromatics, the choice can sometimes be pretty overwhelming, especially if you are just beginning to investigate the benefits of aromatherapy. You can find some great guides online that break down the qualities and effects of specific plants, pick up a physical book in your local library or bookshop to flip through and learn at your own pace, or even register for a class if you want to gain more expert knowledge. Whatever route you go down, just be sure to always be careful and to be mindful of you, your pets, and your loved ones in terms of any potential negatives that may come from the oils you are using in your home, as these are potent ingredients! While I do occasionally craft my own products (primarily simple balms, butters, and blends for the diffuser), I honestly like to leave it up to the experts when it comes to aromatherapy for the home. I know I can rely on specialist brands to create the perfect formula that smells amazing, lasts a long time, and is safe for daily use. From Tisserand to Bloomtown, Scentered to Forrest & Love, there are so many brilliant brands you can trust! And while of course there are loads of other daily or weekly aromatherapy treatments you can use, like roller balls, bath or body oils, and massage products, I think these deserve a separate post so I will hold off on running through those for now -- trust me, I have a LOT to say on them, as I incorporate each into my life regularly! Maybe I will even make aromatherapy a monthly segment in the new year! What do you think about that?? Until then, I would love to know if you have any favourite blends! How about tried and true aromatherapy methods or specific products that always help sort your needs?? I would really like to hear what they are, as I am always on the lookout for new goodies to incorporate into my routine! Now I know what I want my husband to get my for Christmas. Shame I didn't know about this list for my birthday. I'm a big candle and wax melt fan, especially ones using soy wax and essential oils. The aromatherapy side and what they do for us isn't something I'd thought about before though. There are some lovely products around. I have a wax burner which is perfect for this time of year. ooh tea tree is one I haven't incorporated as much- any particular blends you use? This is a really interesting post, especially when you mention ADHD. My other half has this and it would be interesting to see if aromatherapy could help him a little bit. Great article, thank you! Scents can make a big difference to my mood. Jasmine is one of my favourites.